#isbreastbest « Hey Sugar Dumpling! So whilst I was pregnant, I decided I wanted to exclusively breastfeed my little one from when she was born. Why? Well because that’s what’s best of course?! Everyone in healthcare and the media tell you if you want your child to have the best in life, breastfeed for 6 months minimum! Now, to my surprise my daughter was born at a hefty 9lb 14oz! (I’m 5’1″ and a small build…. NO SHE DID NOT COME OUT NATURALLY!). So in order to keep her blood sugars stable they had me breastfeed her for 10 minutes and top up with formula, so she was getting everything she needed until my milk came in. We continued doing this for the first week, until our midwife said we could exclusively breastfeed. I.had.no.idea.how.hard.this.would.be! Exclusively breastfeeding takes a lot of time and patience. You can’t ask your partner to give baby a feed, you can’t really leave your baby for more than an hour tops, and if you can get them taking expressed milk from a bottle… well, that’s just another thing to add on to your list of things to do. EXPRESSING MILK! I used a medela swing electric pump, which was a great investment. It was a little pricier than some of the other breastpumps on the market but definitely worth it. It takes half the time compared to manual pumps, suctions on easily and is pretty quiet for an electric. So at 5.5 months my partner and I decided we would start to reintroduce formula milk. We gave ludoo a combination of 50% breast milk and 50% formula milk. To our horror she became lethargic, pale and started projectile vomiting all over the place 20 minutes after the feed. She got a rash all over her body, her lips and eyelids were swollen. So we rushed off to A&E where we were told it was most likely cow’s milk protein allergy. But we were shocked, she’d had no symptoms 5 months ago when we were topping her up on formula at every feed? So I decided to continue breastfeeding. Now I’m no expert, but maybe we shouldn’t have introduced the formula top ups with little one so early? Especially if we were planning to take it out of her system altogether and take up exclusive breastfeeding. Is that something that could have contributed to this allergy? I found this article from La Leche League an interesting and thought provoking read. – Discretion in public places is difficult. You can buy breastfeeding aprons, or find a quiet place when at weddings/parties… I used to go back to the car! – You don’t need to worry about sterilizing bottles in the middle of the night (or at anytime!) and its always going to be the right temperature! – Travelling whilst breastfeeding is easy, no need to worry about carrying bottles or formula. – The bond between you and your baby is indescribable… I do miss it sometimes! – It is actually quite a relaxing experience when feeding your baby in a comfortable environment, I used to enjoy having some quiet time out. 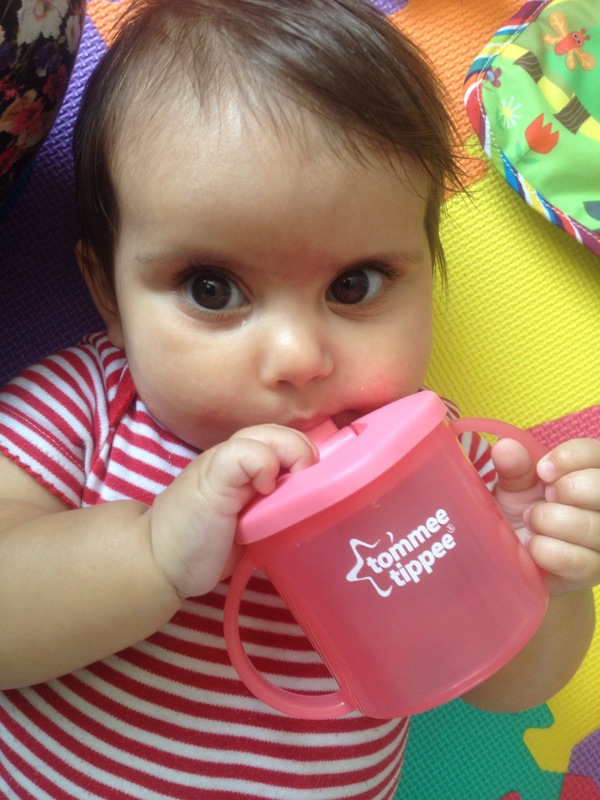 This entry was posted in Baby stuff and tagged #babydramas, #bottlefeeding, #breastfeeding, #breastisbest, #breastpump, #cmpa, #firsttimemum, #isbreastbest, #medelaswing, #mummyblogger.